I made these up yesterday with left over veggies I had in the fridge. They turned out so good, that I had to share. I needed to add more protein back into my diet and because I stay away from chicken and meat, and I am not a huge fan of egg yolks, the whites I can handle. 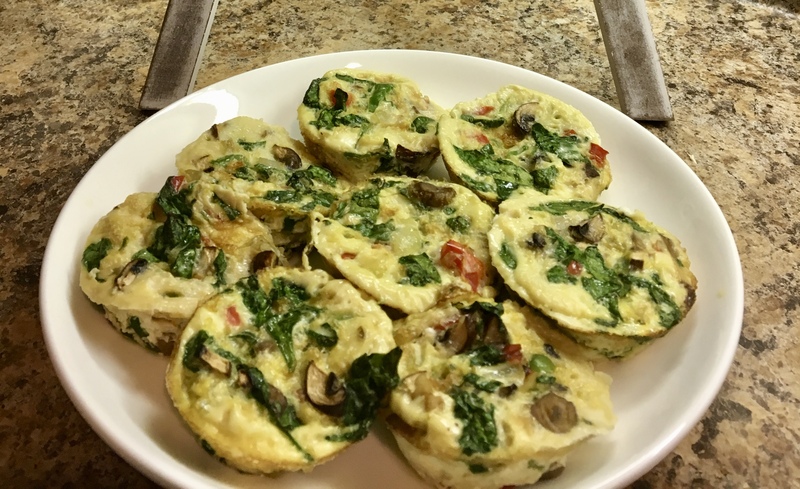 You can make these ahead of time and either freeze or have in the fridge to grab out for a quick breakfast. Just heat and serve. Basically you can add any veggies you might have in your refrigerator. I think adding in broccoli would be good too. 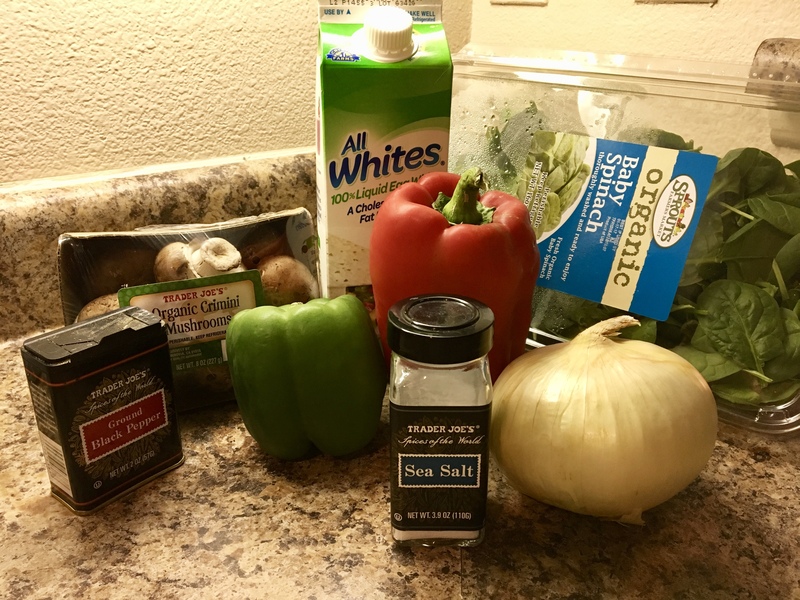 1/2 an onion , 1/2 red and green bell pepper, a handful of mushrooms (about 6 med-large) and two large handfuls of spinach. Sautee all your veggies except the spinach for about 3 minutes until just getting soft. Add salt and pepper to taste and 2 small cloves of garlic minced well. 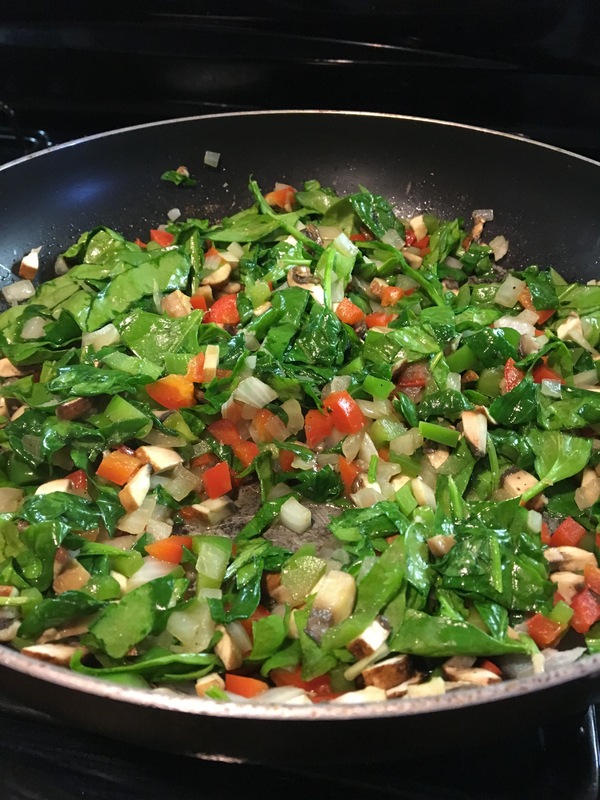 Once soft add in your chopped spinach and stir into the veggie mix until leaves are almost wilted but not soggy. Take off of heat and let cool down about 10 minutes. Meanwhile: Preheat oven to 350 and prepare your muffin pan. You can either use muffin liners or olive oil to avoid sticking to the pan. Once almost cooled, spoon into muffin cups. Then fill 3/4 full with egg whites. Put in oven and bake for 15-18 minutes. Let cool for about 10 minutes, eat or store. Let me know if you make this and what kinds of veggies you put in your muffin cups. A fresh, light, make ahead, grab and go breakfast. Add spinach into sauté pan until just wilted. 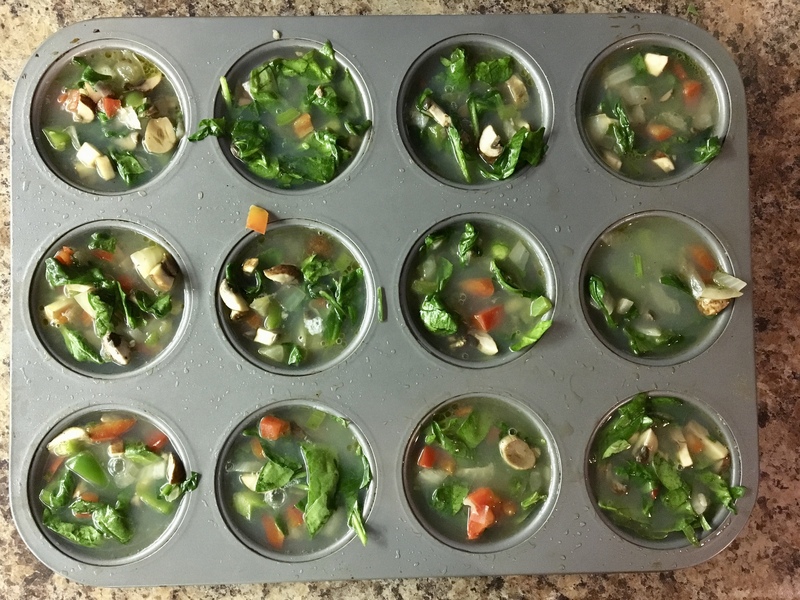 Put spoonful of veggie mix into each muffin cup. I’m not crazy about eggs but these look good! Thank you for sharing! I’m trying to get more veggies in. Neither am I. I used to love them. But egg whites I can handle and I don’t need to buy the whole egg. Lol. Enjoy. Thanks! These look yummy, not to mention easy, convenient and healthy! !